In every organization, there are critical players behind the scenes that are crucial to the organization's success but rarely receive public recognition for their efforts. One of those groups at Brindlee Mountain is our Parts Team. Did you know that this team of three processes over 12,000 purchase order lines per year and over 4,000 Salesforce Workflow Requests? Additionally, compared to most repair shops, departments, or dealer facilities, where the parts staff has the luxury of learning a single brand or fleet of apparatus our team has to learn the components and systems of every manufacturer, model, and year of apparatus that we sell. And that is casting a WIDE net! 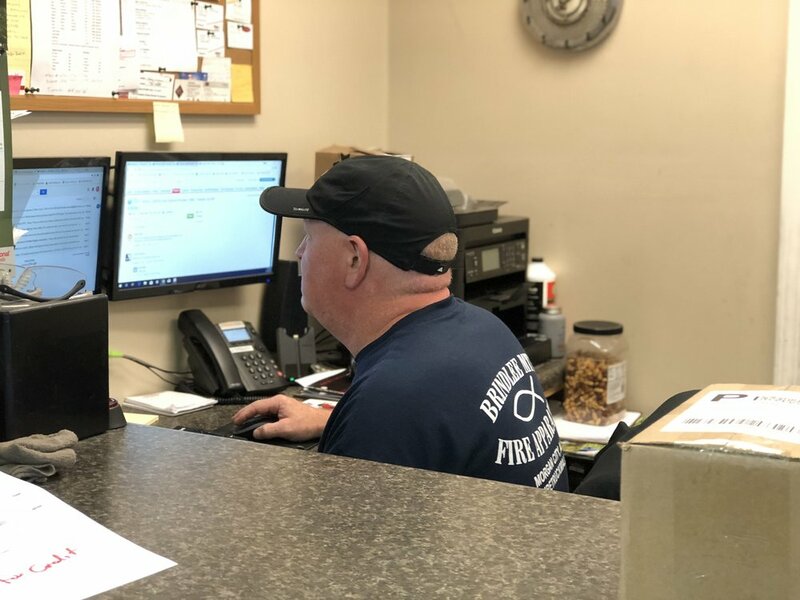 We don’t and can't underestimate how important Joseph, Butch, and Bobby are in enabling us to deliver trucks on time to our customers with the right parts and capability. If you see them, thank them for the crucial role that they play in the success of Brindlee Mountain. Their diligent work done behind the scenes benefits us all.